Moviewall - Movie Posters, Wallpapers & Trailers. : The Number 23. Animal Control officer Walter Sparrow (Jim Carey) has found a book he doesn’t dare put down. 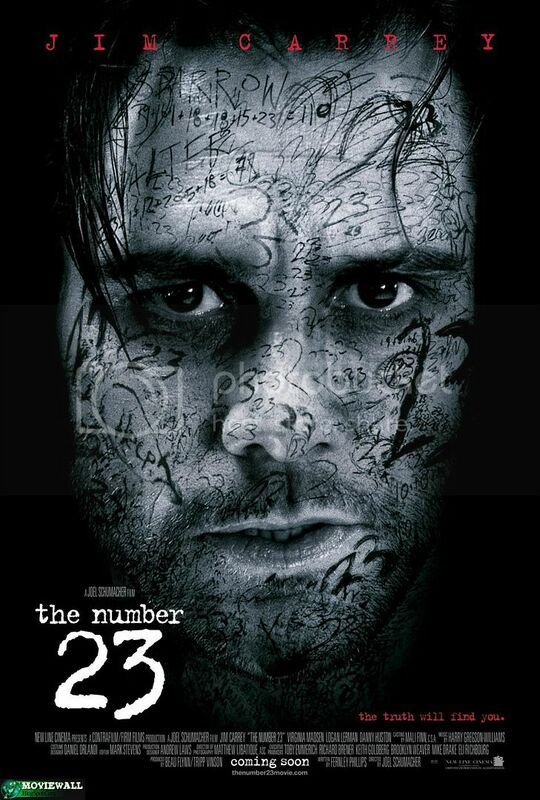 By reading a mysterious novel, "The Number 23", given to him as a birthday gift by his wife, Agatha (Virgina Masden), Walter twists his once placid existence into an inferno of psychological torture that could possible lead him to his death and death of his loved ones. And all because of a number: The Number 23. The novel is a chilling murder mystery that seems to mirror Walter's life in dark and uncontrollable ways. 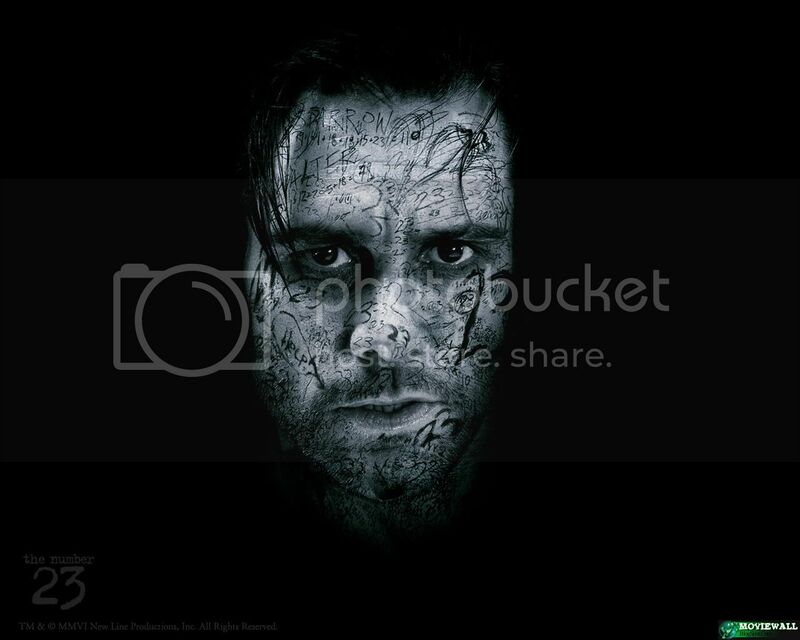 The life of the book's main character, a brooding detective named Fingerling (also played by Jim Carey, is filled with moments that echo Walter's own history. As the world of the book starts to come alive, Walter becomes infected by the most frightening and evocative part of it: Fingerlings obsession with the hidden power of the number 23. This obsession permeates the book and begins to control Walter. He sees the number everywhere in his own life and becomes convinced that he is damned to commit the same horrific crime as Fingerling - murder. Nightmarish fantasies come to haunt Walter concerning terrible fates about his wife as well as family friend Issac French (Danny Huston), placing him on a desperate quest to understand the mysteries of the book. If he can unlock the power behind the number 23, he may be able to change his future. 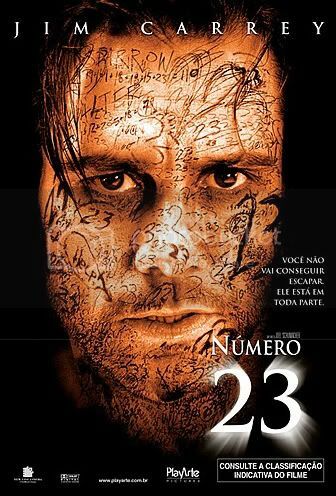 Movie Title: The Number 23. 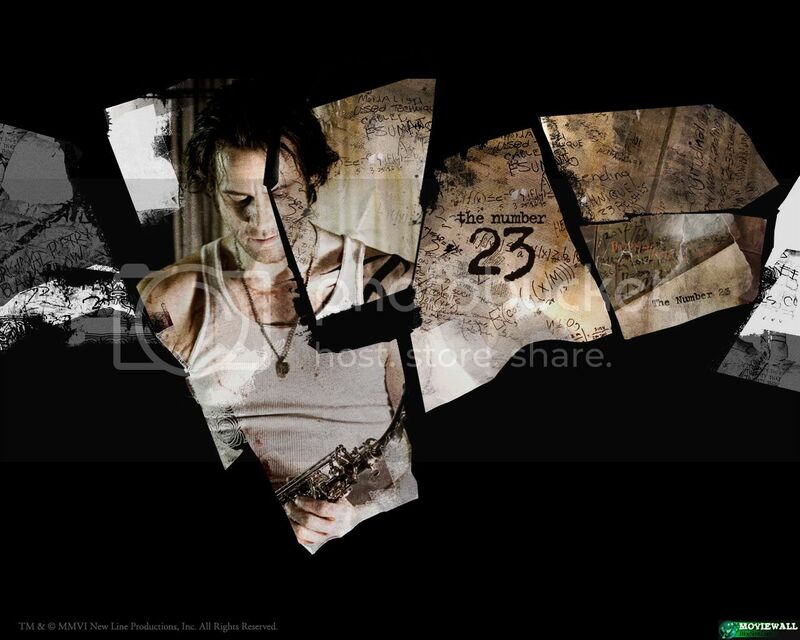 Starring: Jim Carrey, Virginia Madsen, Danny Huston, Rhona Mitra, Logan Lerman. Release Date: February 23rd, 2007.